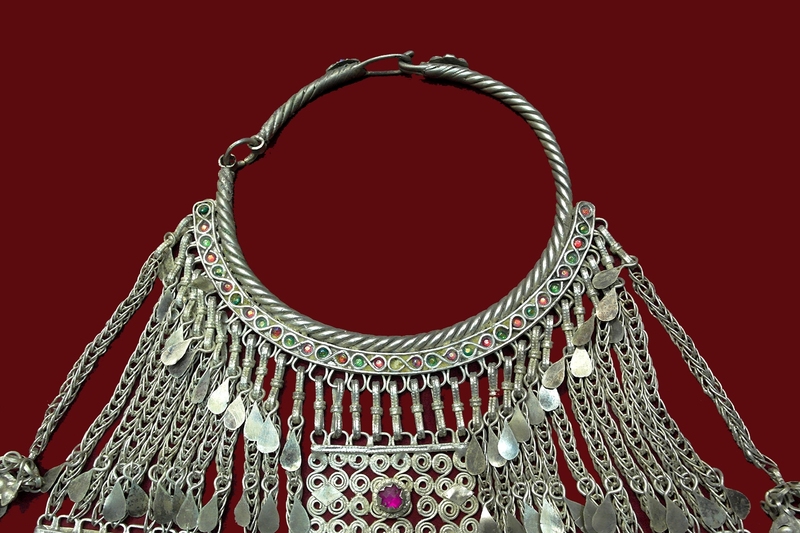 Click the button below to add the Afghan Jewelry Kuchi Large Necklace Gypsy Handmade Choker to your wish list. 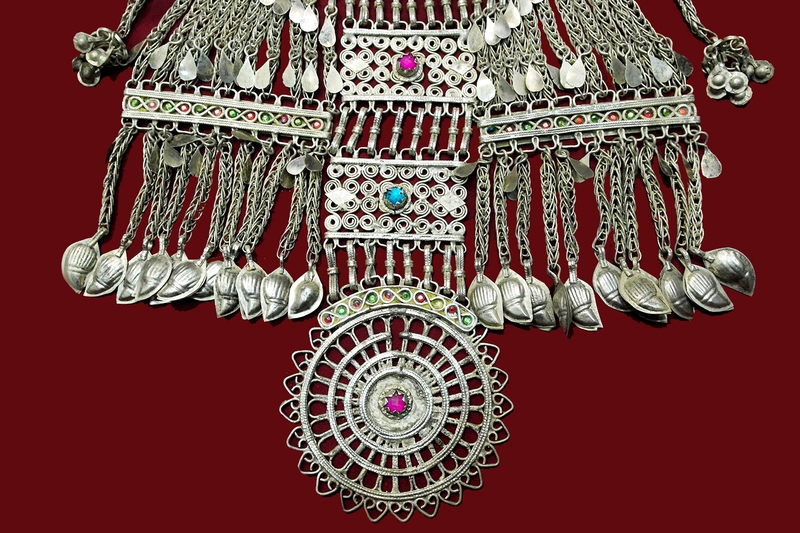 This is an Afghan Kuchi tribal necklace or choker, made of German silver and colored glass gems. All the metal work, beads and fabric work has been done only by hands. 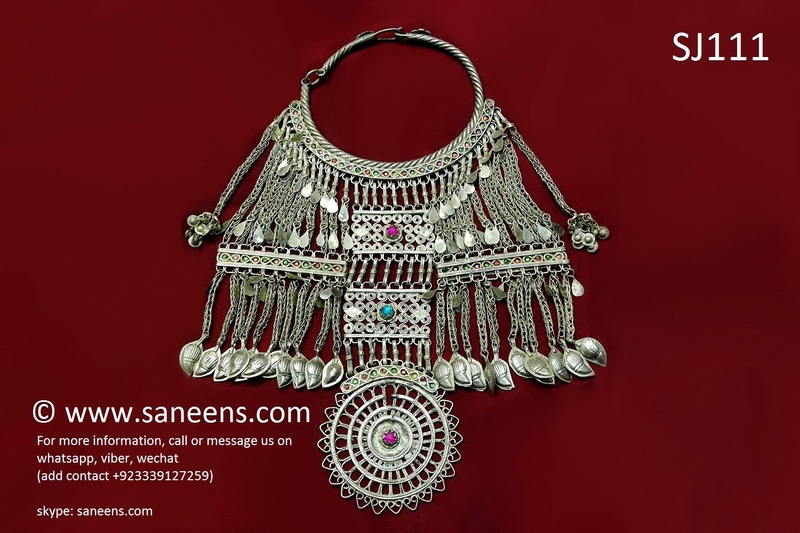 Such tribal jewelry shows the highest skills of Kuchi people metal crafting. Commonly such headdresses are used in everyday life of women at Afghanistan. Many people also use such jewelry on their wedding and engagement parties.